RARE --- RARE --- RARE!!! 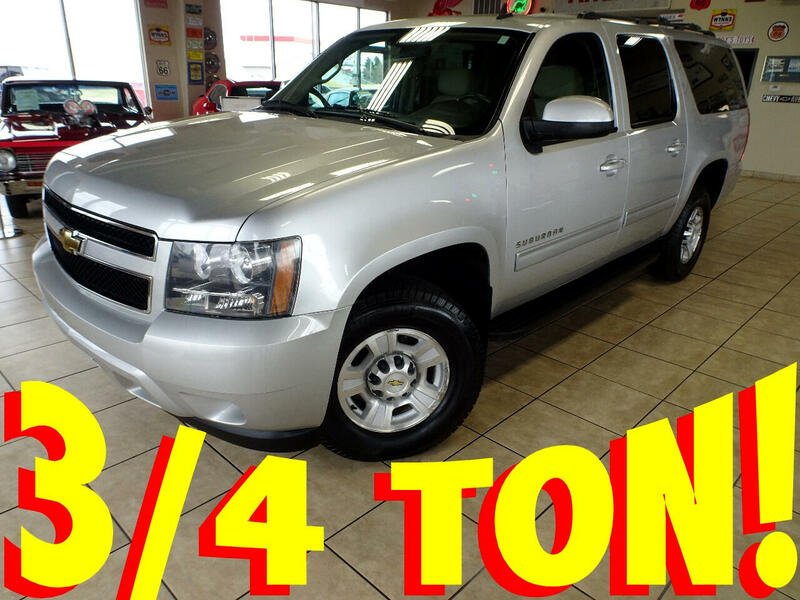 2011 Chevrolet Suburban 2500 ((3/4 TON))) 4X4 with ONLY 54,000 Low-LOW MILES!!! If you've been search for one of these 3/4 TON Suburbans, then you know and understand the sense of urgency to JUMP on this deal!!! Bright Silver Exterior complimented with Factory Tinted Glass, Factory Running Boards, Factory Roof Rack, 17-Inch Alloy Wheels, and Nearly NEW MICHELIN TIRES! The interior is finished in Light Tan Cloth with a TON of POWER OPTIONS including DUAL POWER SEATS, POWER WINDOWS, POWER DOOR LOCKS, TILT STEERING, CRUISE CONTROL, Am/FM CD, REMOTE ENTRY, and MUCH MORE!!! This Suburban is powered by the TRIED & TRUE 6-LITER V8 which is mated to an Automatic/Overdrive Transmission with ELECTRONIC 4-WHEEL-DRIVE!!! If you're looking for an SUV that handle your Camper, Boat, or ??? and still have enough room for the ENTIRE family and a FEW FRIENDS --- here is the SUV for you!!! CALL or EMAIL to be FIRST IN LINE on this GREAT BUY!! !